A surprise decision by a Berlin court last week charged Suhrkamp Verlag’s executive board nearly 300,000 euros in damages and advised that they be removed from their posts, which left the publisher and much of the media in shock, and the future of the house more uncertain than ever. Founded in 1950 by Peter Suhrkamp, and led by the renowned publisher Sigfried Unseld until his death in late 2002, Suhrkamp Verlag was the heart of West German intellectual life, and home to German translations of the most important figures in world discourse in the second half of the 20th century. Since 2003, the house has been led by Unseld’s widow, Ulla Unseld-Berkéwicz. Though the quality of the authors it attracts has absolutely not suffered under Unseld-Berkéwicz, the house is losing money and has been for some time. 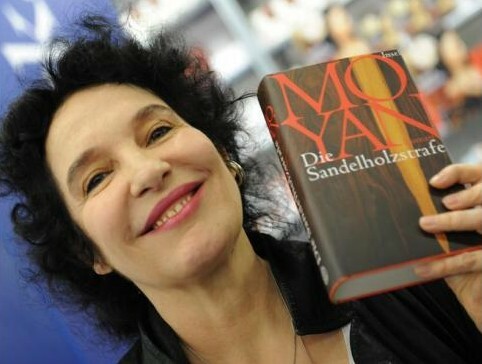 She also garnered dislike for causing ruptures with long-time employees and associates (including Unseld’s son, Joachim), as well as selling Suhrkamp’s archive. 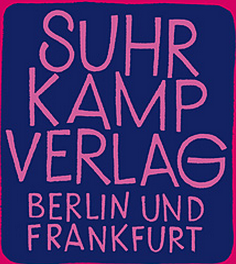 The 2010 move to Berlin cut Suhrkamp’s deep ties to Frankfurt, but also positioned the publisher in a more active cultural center, as well as a more affordable one. In 2006 Hans Barlach, a businessman and grandson of the sculptor Ernst Barlach, bought Medienholding Winterthur, a holding company which then owned a 29% stake in Suhrkamp. Today Medienholding Winterthur holds 39% of Suhrkamp Verlag and Barlach is its sole owner. Unseld-Berkéwicz owns 61% of Suhrkamp Verlag through a family foundation. Since 2006, Barlach has made numberous attempts to gain a majority share and to oust Unseld-Berkéwicz, bringing her to court ten times. She, in turn, has attempted to rid Suhrkamp of him, also by litigious means. He characterizes her as unqualified to lead the company; to her, he’s an opportunistic interloper. Both parties have made offers to buy the other out, both have refused. Barlach says if he ousted Unseld-Berkéwicz, he would find a real publishing expert to run Suhrkamp — according to an article in last week’s Börsenblatt, he even named the current leaders of Piper, Rowohlt, and Kiepeneheuer & Witsch; all responded with surprise, none with interest. It’s easy to understand why those associated with Suhrkamp are uncomfortable with Barlach holding sway over Suhrkamp in any capacity, through whatever intermediary. Many well-respected Suhrkamp authors have spoken out agains Barlach — Peter Sloterijk, Sibylle Lewitscharoff. In Focus Magazine, Hans Magnus Enzensberger and 2008 German Book Prize winner Uwe Tellkamp threatened to switch publishers in the event that Barlach gained control. Last week’s ruling by a Berlin district court dealt a double blow to Unseld-Berkéwicz. First, it found that she was in the wrong when she rented some rooms in her private villa to Suhrkamp Verlag for 6,600 euros a month, essentially renting it to herself without Medienholding Winterthur’s knowledge. (Had it been 350 euros less per month, she wouldn’t have been obligated to report it.) As a result, the executive board (Unseld-Berkéwicz, Jonathan Landgrebe and Thomas Sparr) must pay Suhrkamp Verlag 282,486 euros in damages. What’s more, the court advised that the executive board be removed from their posts. Though the decision isn’t yet legally binding, it confirms Barlach’s November 2011 request that they be removed, and would be retroactively effective. It’s unclear who would lead in place of the three. The family foundation lead by Unseld-Berkéwicz plans to appeal the decision, but it’s certainly a surprising defeat since so much is still up in the air. Both Barlach and the family foundation are suing to expel each other from the publishing company, and at the request of Medienholding Winterthur, a judge will consider the dissolution of Suhrkamp as a company, unless an agreement is reached in the mean time. The decision in that case is expected on February 13th. What does the future of Suhrkamp look like? Most agree that it will survive in some smaller, weaker form, whether due to bankrupcy, dissolution, or mere financial and cultural attrition. In the case of a dissolution, company property would be liquidated. According to a FAZ article, “experts” say this is unlikely, though the aforementioned Börsenblatt article, as well as an overview in Die Welt, also cite “experts” who say it is likely. In that case Suhrkamp would likely end up as a smaller part of a large publisher, perhaps the name of an imprint. In the case that either party succeeds in their case to expel the other from the company, the winner would have to compensate the loser for the market value of the loser’s holding.